Thermographic testing, also known as infrared inspection, is a contact-free predictive maintenance method used to detect connections defects, system overloads, deteriorated insulation, and other potential problems in electrical components. Infrared thermography is used to find areas of excess heat so that problems can be corrected before they lead to excess power usage, increased maintenance costs, service interruptions, catastrophic equipment failure, and/or equipment damage. How does thermographic testing work? Thermography measures surface temperatures of electrical components by using highly specialized infrared visual scanning technology. During a scan, a thermal ‘camera’ is used to pick up traces of heat that otherwise do not appear on the visual light spectrum, allowing inspectors to easily identify heat anomalies by their color in the thermal image. When current flows through an energized electrical system, it meets resistance from the individual connections and components within the system. As these components and connections deteriorate over time, their resistance increases, causing localized increases in heat. Whether it’s due to an old connection or a poorly made component, these concentrations of heat can cause equipment failure and energy waste if left unchecked. Thermography can detect these temperature increases ahead of time, allowing you to address the issue before it becomes a serious problem. There are several risks associated with electrical equipment failure, some more serious than others. Equipment failure can be quite costly when you factor in repairs and work stoppages. But there are physical risks involved too. The National Fire Protection Association (NFPA) estimates that around ten percent of all fires that occur in manufacturing facilities are related to electrical system failures. Furthermore, component and connection failures can expose employees to live electrical circuits, putting them at risk of serious injury or death from electrocution. Predictive maintenance services such as thermographic testing can help you avoid these dangers long before they occur. How do I know if my facility needs testing? All properties with energized electrical systems would benefit from predictive maintenance services. And the more equipment you have, the greater the need. Commercial facilities with higher levels of power consumption, heavy equipment, and multiple branch circuits and distribution systems are at a considerably higher risk of costly failures, and can greatly benefit from yearly thermographic scans on their critical systems. You’ve noticed an increase in energy consumption without an increase in equipment use. Who can perform a thermographic scan? Thermographic imaging equipment is fairly complex, and can be dangerous as it can involve exposure to live electrical components. That’s why thermographic tests should be performed by consultants with specialized training in thermographic predictive maintenance technology. 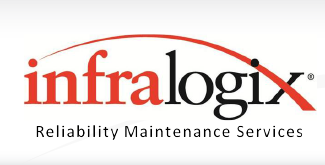 If you’d like to learn more about the benefits of infrared thermography, contact the professionals at Infralogix, providing large commercial and industrial clients with a range of reliability services.